The NextSchool is a South African initiative providing learners with a modern character-based training system. The programme focuses on encouraging creative thought-processes through problem solving while instilling values such as leadership and group work. There’s undoubtedly been a paradigm shift in how access to information is influencing our society, from media. However, we find that innovation is woefully lacking in education and training. Traditional methodologies of learning are out of date, uninspiring and often unsuccessful in equipping students with the right mindset, values and tools needed to lead an empowering life. This is especially true for many young learners in South Africa, who are often left disconnected from our increasingly connected world. 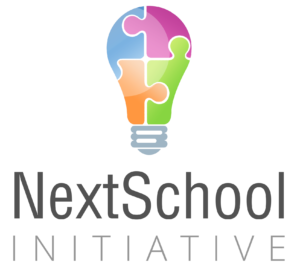 Through various projects, The NextSchool seeks to make education relevant, engaging and transformative, where students and teachers are given the right skills and tools needed to create sustainable solutions in their lives and that of others. The aim of the Schools of Frugal Innovation project is to reduce the complexity and cost of education. The NextSchool hopes to equip learners with the right tools, by setting up platforms that encourages the engagement of local communities and their role models while developing infrastructure through refurbishing classrooms as well as providing access to libraries and electricity. We have observed that learners at intermediate schooling are often more inquisitive and open to learn. With the right brand partnerships, The NextSchool will therefore encourage and empower young learners in the fields of science, technology, engineering and mathematics as well as agriculture. Through weekend gatherings and bootcamps, we will train and engage with students around specific projects that address local, relevant issues or challenges. We will also recognise the best innovations in the categories of health and sanitation, conservation, arts and technology. Our aim is to produce and sustain at least six developments and innovations at the selected schools, which could be managed by young learners, mentors and brand partners. We have collaborated with a number of young, local role models such as entrepreneurs and inventors Stuart Ntlathi, Lufefe Nomjana, Thembinkosi Matika, Wandile Mabanga, Refilwe Ledwaba, Vincent Manzini and many more, in order for them to act as mentors at six schools in the Eastern Cape Transkei region. The Khayelitsha Innovation Summit is a three-day event to be held annually in September. With key brand partners, mentors and community integration, the Summit will consist of an exhibition space where Makers, inventors and entrepreneurs can showcase their inspiring work to the local community. Young learners will also be encouraged to partner with mentors and design a concept that solves an issue in their community. The aim of the Khayelitsha Innovation Summit is to create the foundation on which The NextSchool initiative can ultimately expand inaugural innovation events throughout South Africa. We will showcase the future of education and learning institutions through exhibitions and stands run by youth pioneers,innovators and inventors such as Shalton Mothwa of Epoch Microchips who invented the charging laptop bag; Ludwick Marishane, whose ‘drybath’ has been recognized around the world; Stuart Ntlathi, inventor extraordinaire; and Refilwe Ledwaba, the founder of Sawia, just to name a few. We will have an opening day for students where speakers and inventions will reflect the fact that we want to inspire and engage them, with speakers including John Gilmour, the founder of Leap Science School and a reputed education activist and futurist . We will also feature Sir Ken Robinson of ‘How to Change Education from the Ground Up‘. On the last day speakers such as Bheki Kunene of Mindtrix and Lufefe Nomjana of Espinaca Innovations will challenge students to highlight their own problems and issues and devise strategies and innovations to fix these using frugal innovations. The next year or next school innovation showcase will feature exhibitions of these students from across our townships. The Adventure Outreach Club gives at-risk children from underprivileged environments the opportunity to become involved with extreme sports and outdoor activities such as mountaineering, rock climbing, sailing, camping, and long-distance hiking. We give these young people the opportunity to step outside their usual environment and channel their energy in more productive and healthy ways. In the coming years, we plan to produce and hone highly skilled, vastly informed and compassionate professional sportsmen and women, not to mention transformed human beings, from our townships. Our underlying motive is to reinvigorate the often dormant potential intrinsic and latent in our youth,to reinforce and inculcate a will in them to broaden their horizons, step beyond doubt and and grab hold of their dreams, no matter how big and absurd they might seem.